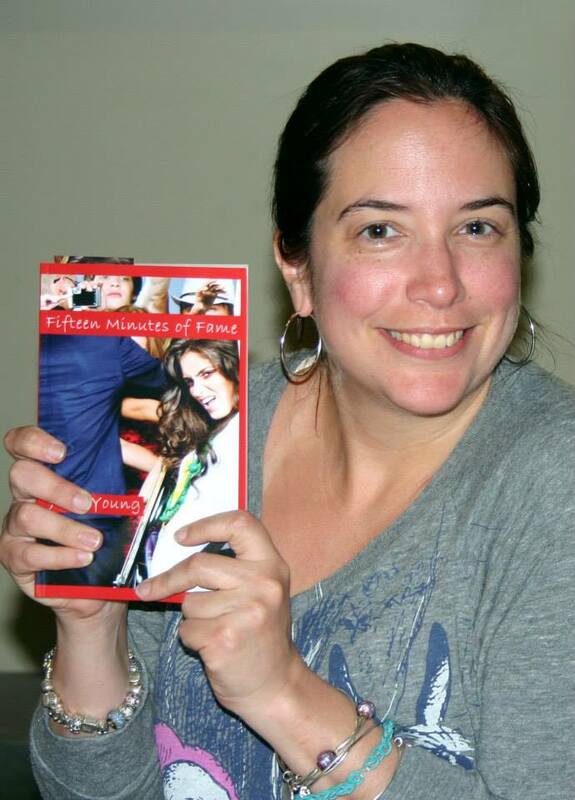 Julie Young answers your questions about FIFTEEN MINUTES OF FAME plus GIVEAWAY!!! Although I was pretty sure that I hadn’t done anything wrong, when I hear a statement like that, I tend to get nervous. Maybe it’s the Catholic guilt setting in, but I never know if what will follow will be a good thing or a bad thing. Hoping for the former, I offered a nervous laugh and asked what she wanted to talk about. A few minutes later, we were huddled at a table where we talked about my characters as if they were real people, which after a while they become. She asked me questions that I get from a lot of people at signings and personal appearances and I decided what better way to begin this one year anniversary celebration of FIFTEEN MINUTES OF FAME than by answering some of these questions I am often asked? So…for everyone who has wanted to know the backstory behind the novel, here’s hoping this provides a few answers! 1. Was FIFTEEN MINUTES OF FAME based on Hannah Montana? No. In fact, I had the idea for FMOF at least 15 years before Hannah Montana came out and when it did, I nearly scrapped the whole project! I often joke that Disney stole my idea and I’d be lying if I said that I didn’t see the similarities, but actually FMOF came from a couple of different sources. 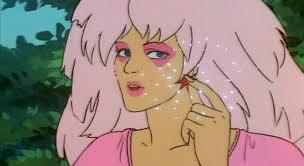 The first was a cartoon I watched as a kid (and one which is getting the Hollywood treatment as we speak) Jem and the Holograms. I loved the idea of an ordinary person transforming into a rock and roll superstar as well as the potential pitfalls leading a double life could bring. It seemed to me that trying to hold down two identities would be very isolating and that it would be next-to-impossible to be true to either one. 2. Is the character of MonAmi based on you? I’m never quite sure how to answer this question because it is not something that can be answered with a straight “yes” or “no.” Although I am a musician and many of my friends refer to me as “the rockstar” I never reached the same super stratified level of fame that MonAmi does. However, I often wished that one day I would wake up and someone would offer to make all of my rock and roll dreams come true. When I wrote FMOF, I decided to explore what that might have been like if it had actually happened, but no…the book is not based on my life per se. When it came to finding a personality to base MonAmi on, I drew on a lot of people who experienced the insanity that comes with “first fame” such as Michael Jackson, Jon Bon Jovi, David Cassidy, and others. I watched and read a LOT of rock and roll biographies to get a sense of the pattern that occurs when a record label throws all of their muscle behind a young artist. Typically, they explode onto the scene, believe their own hype and by the time they are 18 or 21, they are a walking case of burnout. I didn’t want MonAmi to become a train wreck. I wanted her to be smarter than that, but she had to make mistakes as well. Nobody’s perfect and there is always a price to pay when you sell your soul to rock and roll. 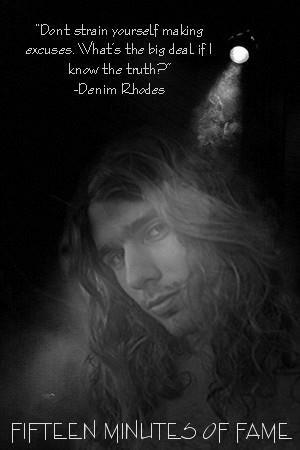 3. Who inspired the character of Denim Rhodes? I’ll never tell! LOL Look, every fantasy guy is a composite of several different people and Denim is no different. Denim is as exasperating as he is irresistible and I think all women have a guy like that in their lives. He’s the one who doesn’t follow the script, who will rub the stardust out of your eyes a little, but always makes you think. Denim is the guy who catches every detail. He points out the red flags that MonAmi can’t see. He sees her career for what it is and although she doesn’t always listen to him, she can’t ignore him either. He’s the one person in her all-too-crazy world that she would like to get close to, but can’t out for fear that even if one person finds out the truth about her, the clock will strike midnight and everything she’s worked for will come to an unceremonious end. 4. Who were your influences as a writer? All of the rock and roll heroes. My personal favorites are people like Lennon and McCartney, Plant and Page and the Wilson sisters of Heart. When I was a kid, I loved to read but I never thought I could write a story the way Judy Blume, Ellen Conford, or Betty Miles could. That seemed like it took talent on another level and because I wanted to be a musician, I focused on the poetry and symbolism contained in lyrics. I had notebooks filled with little songs that I just knew would become my hit singles in time. (God, I was so cheesy back then!) Eventually those lyrics and poems progressed into prose and here we are today. I’ve discovered that it’s not all that different really. It’s all self-expression and getting your truth out there. So no matter if it is a poem backed up by a la la la or telling a story that you have in your head, it’s all about sharing what you have to say with others and hoping it resonates with them as well. 5. What has the reaction to FIFTEEN MINUTES OF FAME been like? Quite surprising, really. I wrote the book for younger readers who repeatedly asked, “When are you going to write something for us?” However, I have been amazed at the wide range of ages that seem to respond to this story. I have had people call me and say “I didn’t expect to like it, but I did!” or “I thought it was going to be a rock and roll book but it was something else as well.” I attended a book signing of another author and a woman in her 50s who happened to be there said “I read FIFTEEN MINUTES OF FAME and I loved it. How did you come up with the character? Did you write all the songs?”…It was awesome to learn that not only the young but the young at heart love this character! 6. Did you write all of the songs in the book? 7. Do you have any signings coming up in conjunction with FIFTEEN MINUTES OF FAME? I sure do! I will be at the Wheeler Arts Theater in Fountain Square (Indianapolis) tonight at 6 p.m. I will have gifts for everyone who purchases a copy of FIFTEEN MINUTES OF FAME and will personalize each book. 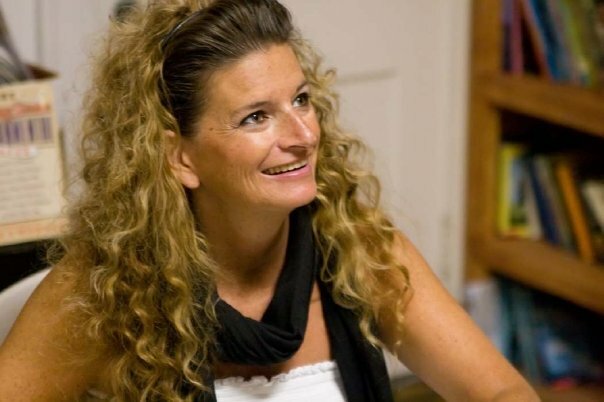 I am one of the special guests at the Dyslexia Institute of Indiana’s Author Breakfast on 4/18, I will be at the Pendleton, Indiana library on 5/2, Barnes & Noble in Greenwood, Indiana on 5/3 and I will also be appearing at various book clubs this summer! Happy One Year Anniversary FIFTEEN MINUTES OF FAME! Tomorrow is the one year anniversary of my debut YA novel FIFTEEN MINUTES OF FAME and in order to celebrate this momentous occasion (and give readers a chance to see some new material I am working on) I am having a month long party full of new music, prizes, giveaways, and exclusive material that cannot be found in the book!